This is a magical time of year! On Tuesday, September 23, we will experience a time when the days and nights are of equal length, otherwise known as the Equinox. Since this day is all about BALANCE it’s miraculous that this experience occurs in both the northern and southern hemispheres. Everyone in the world can celebrate together! In the northern hemisphere, the nights are growing longer. When this occurs, your energy gets drawn inward so you can find the light within. In the southern hemisphere, the sunny days are more plentiful and you can enjoy the light of the world as you bask in nature. Either way, this is a celebration of light! Nature always reminds us that whenever there is darkness, light will soon follow. The Equinox also marks the beginning of the sign Libra. 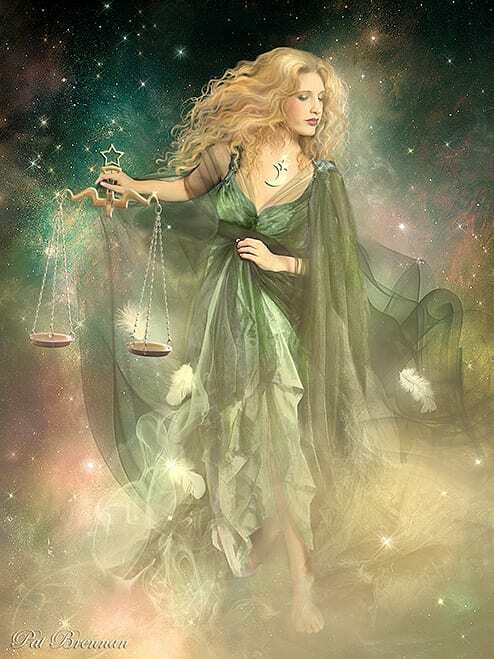 In astrology, Libra is the first of what’s known as the relationship signs, and teaches you how to find balance within, no matter what is happening around you or what other people are doing. The Libra loves to be in partnership – whether it’s romantic, friendship or otherwise, so the tendency is to want to please other people, often at the expense of your own needs. Whenever you do this, this can throw you OFF BALANCE. Have you ever had that experience where you want something and you don’t want to cause conflict so you keep it to yourself? When you do this, you create INNER CONFLICT instead. Eventually, you need to find balance between your needs and pleasing other people. That’s what Libra teaches us! What’s beautiful is that the day that initiates Libra, the sign of BALANCE occurs on the Equinox – the same day there is harmony between day and night and day, light and dark, yin and yang. We’re going to be in Libra from September 23-October 23. This is the perfect time for you to create more harmony and balance in your life. AND… not only that, but on Tuesday, September 23 at 11:14pm PST (6:14am UTC on September 24th) we will be under a brand new moon. Every new moon is an opportunity for you to set your intentions for the month ahead. Am I giving to others so much that I don’t have enough time for myself? Do I make time in my life to play, recreate and pursue my passions? Do I give to others more than I allow myself to receive? How much time do I allow myself to rest instead of work? Do I keep my thoughts and feelings to myself because I don’t want to disrupt relationship harmony? Are there any relationships in my life that are no longer making me happy? Now ask yourself… what do you want instead? Once you have clarity about what you really want, declare to the Universe that you will choose relationships and situations where you feel inner peace as well as outer harmony. When you do this, the Universe will respond in kind and that’s when magic happens! Remember, your inner light will always shine no matter what season it is. So have fun, be good to yourself, and radiate love! P.S. I always love to hear from you so leave your comments below. What do you want to declare to the Universe today?